We’ve had a really fun weekend with friends, carving pumpkins and roasting marshmallows on a fire outdoors. Then suddenly last night my daughter woke up crying and clutching her ear. My first response is to set her up with a Hulda Clark Zapper. She zapped, holding it close to her ear and under her jaw. I also gave her some echinacea and brought her a warm washcloth to comfort the ear that hurts. Pretty soon my husband was up too and set her up with a hot water bottle to replace the washcloth. Within half an hour she was asleep again. I tried to imagine the same situation if I didn’t have a Hulda Clark Zapper. I grew up in the tropics. I never had an earache as a child. I once had a mosquito enter my ear, but that’s a whole different story. My husband grew up here in Maine, and told me he constantly had earaches. He remembers staying up all night, 6 to 7 hours of crying in pain, with only a hot water bottle for comfort. A while back in conversation with a dad at a playground, he told me how glad he was he had health insurance because of how often he had to take his children to the emergency room for fevers and ear infections. Getting a crying child bundled up and in the car to go to the emergency room, where she has to wait to get treated with antibiotics is pretty extreme for something as common as an ear infection. Antibiotics also do not provide immediate relief. According to most medical websites I consulted, doctors prescribe ear drops and recommend an over-the-counter pain reliever for kids. Personally I would hate to do this to my kid. First off I think hospitals are a good source of secondary infection. You come in with one problem and leave with more. Next, I don’t like drugs. Even the ones doctors prescribe have a level of toxicity. That’s why doctors have to control them with a prescription. Then of course, there is the threat of antibiotic-resistant pathogens we cannot anymore ignore. And finally, going to the ER is so stressful at a time when a child most needs to rest. 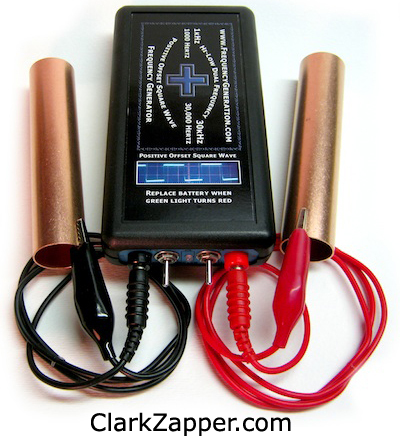 The Hulda Clark Zapper has allowed me to take care of my family in the comfort of our home, quickly, painlessly and effectively. I am so grateful to have it in my life.